Snow can be extremely detrimental to the smooth running of an Ottawa business during the winter months, especially if the business relies on foot traffic. Places like shopping malls, plazas, parking lots, car dealerships, and even condominiums can suffer if snow is not properly removed and dumped, causing people struggle to gain easy access to the building. So what can businesses do in this case? First things first, it is very important to have a detailed snow removal and snow dumping plan in place to deal with things when the weather goes white. Winter weather can be highly unpredictable, so being well prepared for every eventuality ensures that a business can remain calm in the face of an oncoming snow storm while keeping its services running smoothly. How does the winter weather affect different businesses? A build-up of snow can stop customers from being able to access buildings, and can reduce foot traffic in places such as shopping malls and plazas. Stores such as Canadian Tire and Home Depot may see an increase in traffic during the colder months, due to a need for winter-weather related items such as shovels, salt and de-icer. For other retail stores, December is usually a busy month as people rush to finish their Christmas shopping. During January and February however, usually the coldest months and those hit hardest by winter weather, people may avoid shopping malls, centres and plazas in favour of staying inside and avoiding the snow entirely. Grocery stores and markets will likely still be frequented as often; after all, people need to eat! In the case of an oncoming winter storm, grocery stores may see a spike in traffic as people rush to stock their store cupboards in expectation of the terrible weather. How else can snow affect a business? Snow also poses a major health and safety factor. Slippery snow and ice can potentially be very hazardous, as people can fall and injure themselves. The last thing you want is for a customer to be injured on your property, especially if it turns out that you have failed to properly look after and maintain your site during the winter. In more extreme cases, this could result in the customer looking to take legal action against your business. What can I do as a commercial property manager? The best thing you can do is ensure that you have a detailed plan in place with a reputable and reliable snow dumping company. Ensure that the company is well-equipped to take care of your property quickly and efficiently throughout the winter. When dealing with a new client, our team at Marsten begins with a review of all locations with the client to identify every area that require attention, along with any important protocols. The identified requirements for each site will then be reviewed by the property’s supervisor with their crew to ensure all requirements are clear before the snow blowing, snow plowing, salting, de-icing or snow dumping commences. 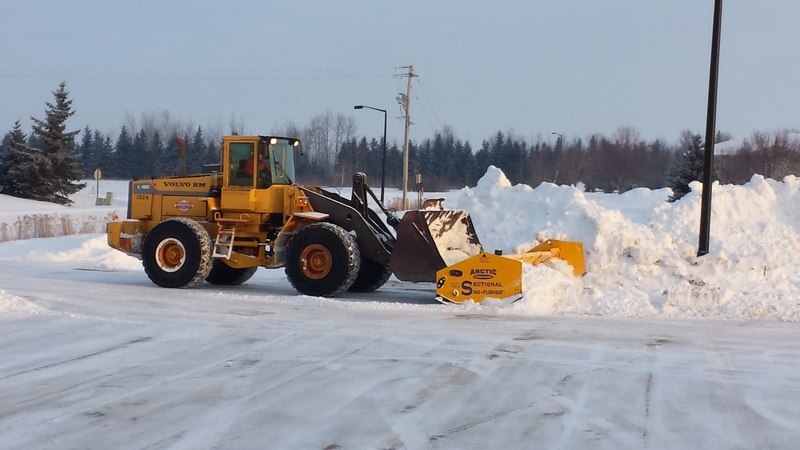 Marsten Snow Removal Services is ready to assist with all your snow clearing and snow dumping needs this winter. We know that the weather can be unpredictable, that’s why we remain on call 24/7 throughout the season, so we are available when you need us most! We are confident working in the most demanding commercial properties and guarantee safe, reliable and affordable snow removal and dumping services to keep your Ottawa business safe and accessible all winter long. Don’t let your business suffer this winter. Contact Marsten today for a customized quote!